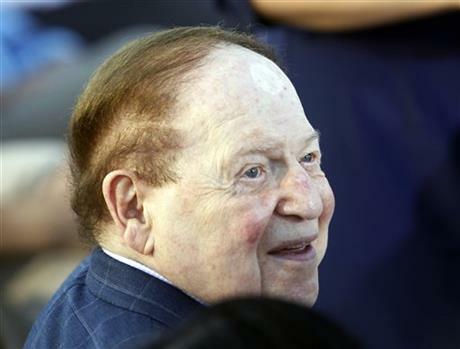 Put a dark cloak on Sheldon Adelson and all Star Wars fans will know who this really is. He donated more than $90 million to political candidates and super PACs in the last election cycle. His total donations may never be quantified publicly because various politically active groups that operate as nonprofit organizations don’t have to report the sources of their funds. Remind me again why money is considered speech and why this isn’t an obvious corruption of the idea of democracy? People are allowed their personal opinions about whether the U.S. was justified in torturing terrorism suspects for information (we weren’t) and how moral that is (it’s not) but there is still one fact that has yet to be proven wrong: it never actually worked in fighting terrorism and, in all likelihood, inspired more terrorism against American targets. The series of research papers, published on Tuesday by the U.S. central bank’s influential New York branch, suggests the biggest banks benefited even after the financial crisis from lower funding and operating costs compared with smaller ones...While the study did not pinpoint the reason big banks can borrow more cheaply, Wall Street critics say it is because investors believe the U.S. government would again rescue them in a panic...Fed economists estimated the funding advantage for the five largest banks over smaller peers to be about 0.31 percent, which they said was statistically significant. In short, the big banks can still take bigger risks because they are confident taxpayers will save them. Taxpayers will have to save them because they have no choice and the alternative is far worse. This is simply another form of the upper echelon being propped up by government at the expense of both smaller competitors and taxpayers. As a very rough approximation, you would need the energy the sun produces over 100 million years to make a wormhole about the size of a grapefruit. Worthwhile for the imagination, I suppose. Maybe someone can figure out how to shrink us down to smaller than grapefruits to solve part of the problem. Where’s Rick Moranis when we need him? Posted on March 27, 2014 by Paul PhillipsPosted in Media, Politics, UncategorizedTagged Brazil, GOP 2016 president, money in politics, net neutrality, sheldon adelson, too big to fail, torture, torture never works, wormholes.